Adria Airways, based in Slovenia, operates 4 CRJ900 aircraft. According to the inflight magazine for Adria, the Adria CRJ900 has 86 seats which appears to be in an economy class configuration. To learn more about the Bombardier CRJ900 visit the other CRJ900 pages on the site. Above Adria Airways Bombardier CRJ900 photo by Konstantin von Wedelstaedt on Wikimedia Commons. Photo (only) released under a GNU Free Documentation License Version 1.2. 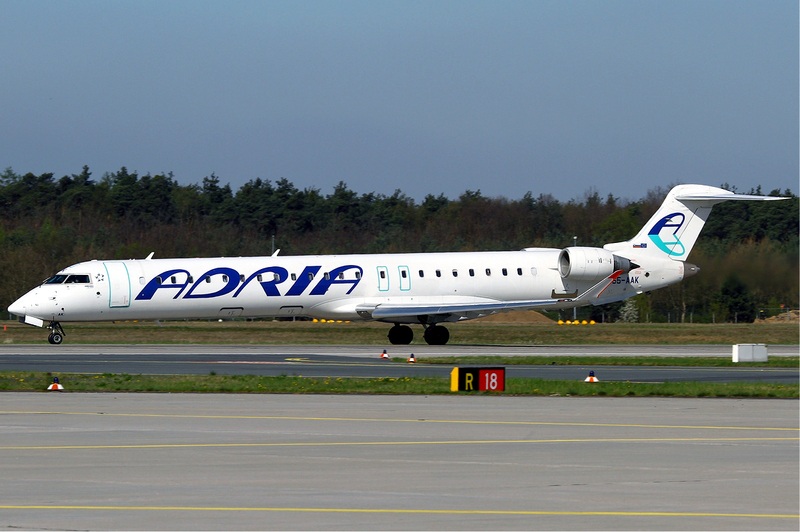 The Adria CRJ900 is also called the Adria CRJ9, Adria CR9, Adria CL-600-2D24, Adria Canadair CL-600-2D24, Adria CRJ 900 or the Adria Canadair Regional Jet 900 due to the various names for the CRJ900 jet.